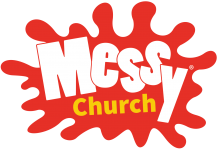 Messy Church is a church for everyone who may not feel comfortable attending a ‘normal’ church service and who don’t yet belong to a church. It is often run at least once a month in many locations around New Zealand. It typically includes a meal, hands-on activities such as arts and crafts and more, which are suitable for all ages.